In the candy kingdom, nothing says Easter like the classic yellow Peeps chick. Love them or hate them, it wouldn’t be an Easter basket without them. Although Peeps originally were hatched as the iconic yellow chicks, there are now all kinds of colors and shapes and holidays to choose from: hot pink bunnies, purple chicks, green christmas trees, even an odd shade of brown gingerbread boy. There are debates about the best way to eat a Peep – I subscribe to the stale-er, the better method myself – and now you can even get chocolate dipped Peeps (which are amazing). Peeps-eating contests have arisen, with the internationally acclaimed “Peep Off” competition held the first Saturday after Easter in Maryland. Apparently, Peeps aren’t just for eating anymore. The Peeps diorama has become an art form unto itself, with several contests being held annually to celebrate that form of artistic expression. Actually, some of the dioramas are pretty amazing, with Star Wars evidently one of the more popular themes. 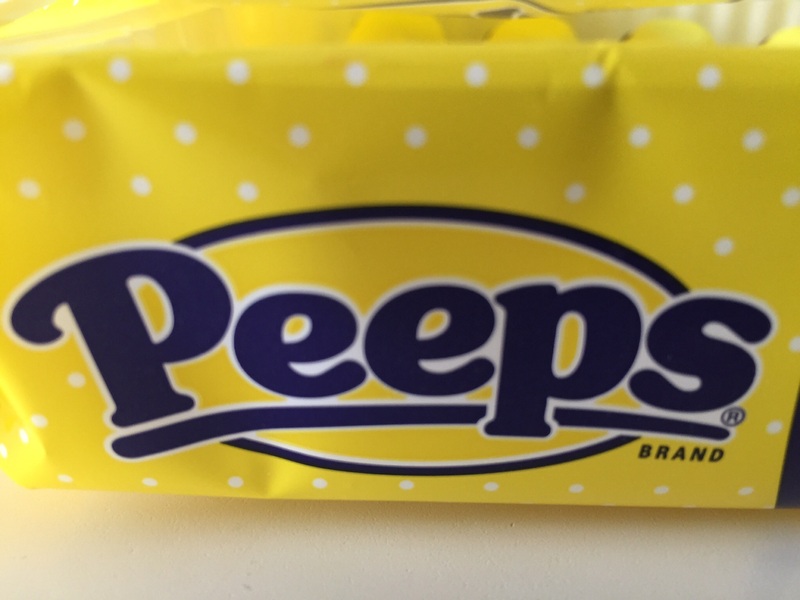 So popular has this candy become, there are now entire stores, Peeps & Co., dedicated to everything Peeps: the classic Peeps candy, of course, as well as Peeps water bottles, giant stuffed Peeps toys, Peeps t-shirts, keychains and refrigerator magnets. You name it, there’s a Peeps for that. I’ve decided it was time to engage in a little Peeps artistic expression myself. 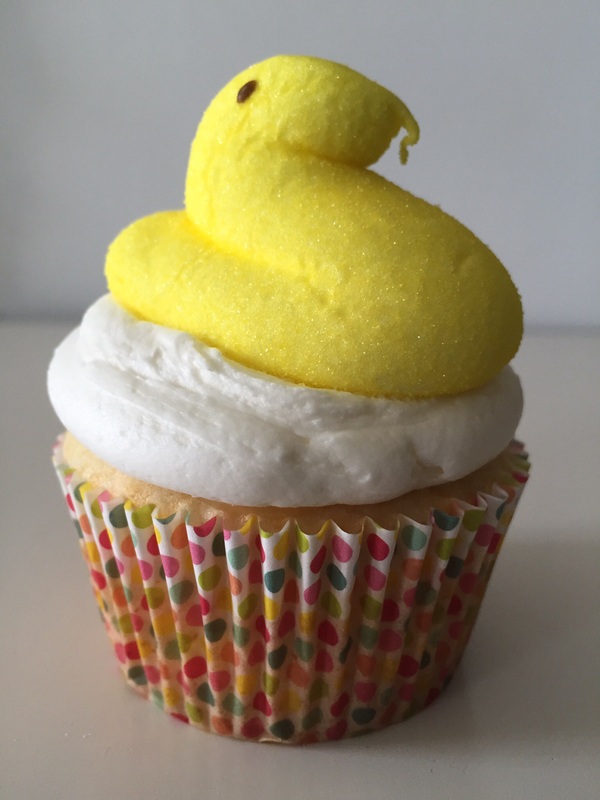 And so, for your Easter holiday dessert table I bring to you – the Peeps cupcake! 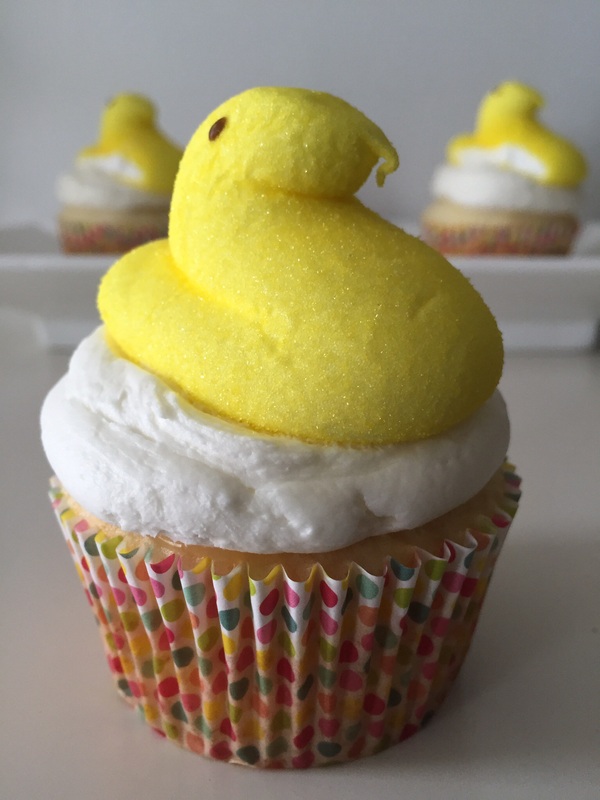 An easy limoncello cupcake with lemon curd filling, covered in an amazing marshmallow vodka buttercream and topped with the classic yellow Peep. From my Easter basket to yours, Happy Easter! Preheat oven to 350 degrees. Line cupcake tin with paper liners and set aside. In large mixing bowl, combine cake mix, water, limoncello, oil, egg whites and lemon zest at low speed for 30 seconds, then 2 minutes at medium speed, scraping bowl a few times. Fill cupcake tins about half full. Bake at 350 degrees for 14-20 minutes or until a toothpick comes out clean. Cool in pans for 5 minutes, then remove to wire racks to cool completely. When cool, use a melon-baller to remove a small portion of each cupcake. Fill each hole with a small amount of lemon curd and then frost as desired. Cream butter and marshmallow Fluff together in large bowl of electric mixer until well combined and fluffy. Add confectioners sugar, salt and 2 tablespoons of vodka, mixing on low speed until combined, then on high speed until light and fluffy, approx. 5 minutes. 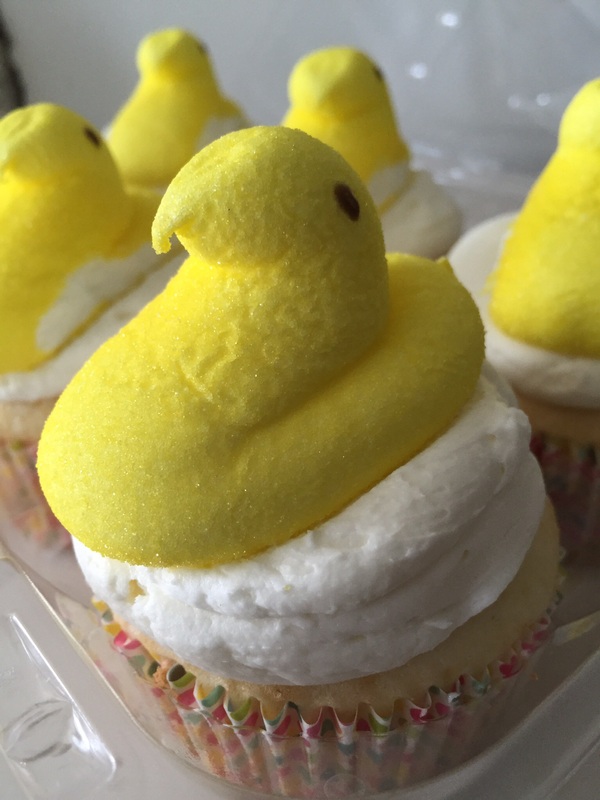 Frost cupcakes as desired and top with a Peep.